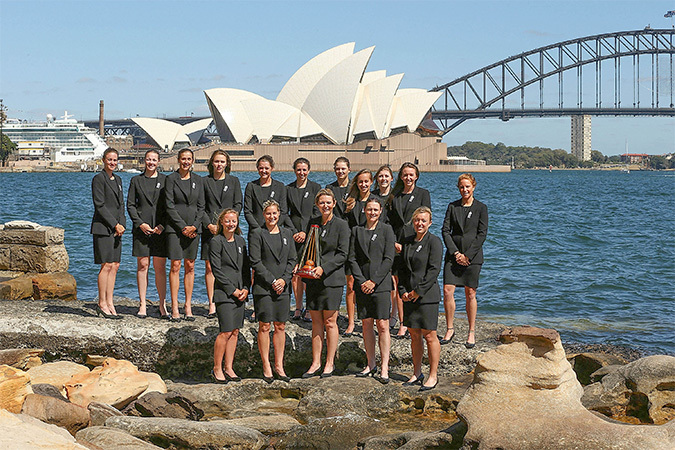 The victorious England Women’s team posed for photographs with the Women’s Ashes trophy today in front of the Sydney Opera House and Sydney Harbour Bridge. Speaking about the Ashes series triumph, England Women’s captain, Charlotte Edwards said: “I am still struggling to come to terms with exactly what we have achieved as a squad over the last five weeks. Every match in this series has been exceptionally close – the scorecard doesn’t always tell the whole story – and the emotions that I am feeling right now are incomparable to anything I have ever experienced during my international career. “The manner in which we won the second Twenty20 International in Hobart, to clinch the Ashes, was exceptional. From a personal perspective it was one of the best innings that I have ever played, and I will remember the match for the rest of my life. “Every single player in this squad has at some point stepped up and performed when they have needed to during this Women’s Ashes series. The senior players have led from the front and the younger girls have come in and really stamped their name on the international game.